I read something once that made me howl with laughter – someone intimated that “all” tea bloggers were snobby and high-brow. Puh-lease. I’d have an impossible time being either high-brow OR snobby in any area of my life and if I were to start – I’m pretty sure I’d start with make-up and work my way up to tea. Bottom line: I am not a tea snob nor will I ever be. I don’t maintain that “whole leaf tea” is the only tea – far from it. I drink as much store-bought tea from tea bags as I do whole leaf tea. That’s right. There, I said it. Companies like Lipton, Luzianne, Tazo, and Celestial Seasonings are household names in my kitchen and each one makes my life as a “Crazy Tea Chick” more delicious and enjoyable. When any of them come out with a new tea, I throw it in my cart with speed Flash would envy. 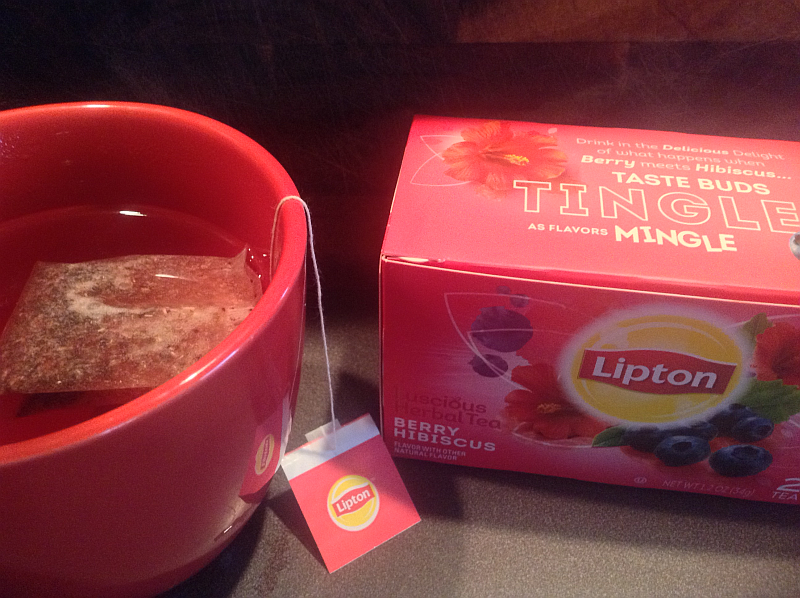 Recently, Lipton came out with several new beauties and the one you see pictured here was the first one I tried. They had me at Hibiscus. I knew it’d be amazing, but I had no idea just how amazing it’d be. The color of the tea is as gorgeous as the flavor is delicious. The day that I bought this tea was an impossibly cold day, so I came right home and made a hot cup of Berry Hibiscus tea. As I’ve admitted numerous times on the tea blog, I have a big problem with sugar. Actually, let’s not get it twisted – I have a big problem WITHOUT sugar. Yes, I drink sweet tea and, yes, I claim the right to do so due to my Southern heritage. However, as often as possible, I like to enjoy my tea unsweetened, due to the fact sugar comes to the party covered in calories. So when I find a tea that’s filled with so much great flavor and hits me between the eyes with so much flavor that EVEN I don’t need to sweeten it, it is a momentous occasion. 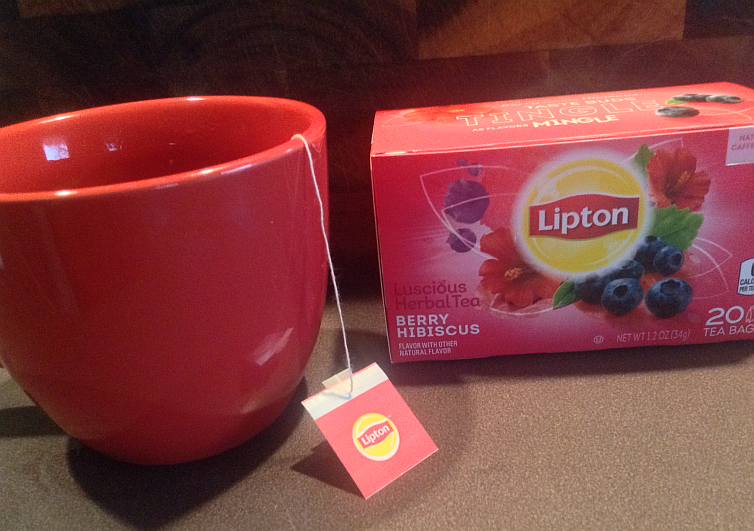 Lipton’s Berry Hibiscus passed the test with beautiful flying pink colors. I never even considered reaching for the sugar bowl. The real test came, however, a few days later when I decided to try it iced. Another test.. another pass. Seriously, this tea is simply outstanding. It’s refreshing, flavorful, and 100 percent delicious. Without a single grain of sugar! When doing tea reviews, I love to be able to say whether I prefer the tea iced or hot, but in this case I can’t possibly say. It all depends on my mood, time of day, and whether I’ve caught a chill or not. Bottom line, this is an outstanding tea and I know you’ll love it as much as I do. Look for it in your favorite grocery or department store.